G Fine Art holds an opening reception this Saturday for the most recent Trawick Prize winner Maggie Michael's new body of work, All at Once. G is at 1515 14th Street NW, and the reception is from 6 to 8 p.m. Note to G Fine Art: update your website. Wanna rent a condo in Bethesda or a house in Bowie? 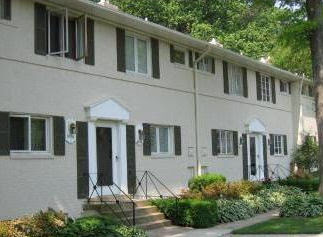 First one above is a really nice condo in Bethesda in Pooks Hill, close to everything... see the listing here. 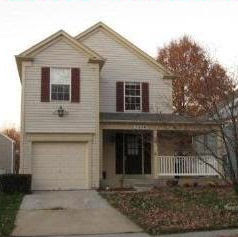 The other one is the very first house that I ever bought when I was Navy Lieutenant first assigned to Washington, DC back in the late 80s. Last year I poured a ton of money renovating the house. It is just a couple of minutes away from 50 and perfectly located between DC and Annapolis and almost across the street from a really nice park and one block from tennis courts and b-ball courts and playground. Wanna learn how to self-publish your own photography book? Bringing together a diverse group of photographers via a facilitated panel discussion, the participating speakers will address the processes and challenges of self-publishing books of photographic work. Participants will share their experiences as both photographers and editors, followed by a question and answer segment with the audience. Participating panelists include Melissa Catanese, Chan Chao, Lely Constantinople, Ed Panar, and Max Hirshfeld. 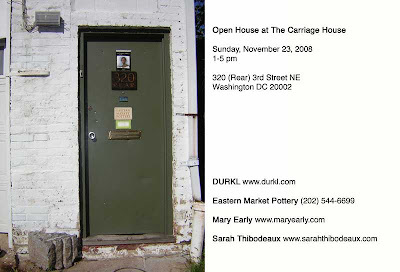 Wanna go to some open studios in DC tomorrow? Is what you will discover at the XVII Ibero-American Art Salon opening today, November 22, 2008 from 6-9 PM at the Katzen Arts Center- American University in DC. This exhibit will remain open until December 21st.